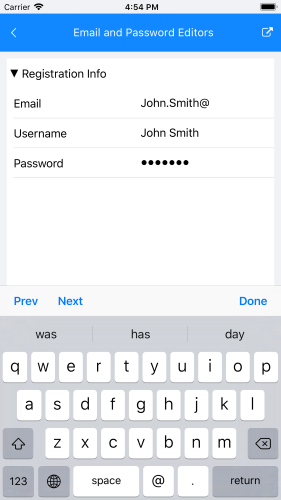 This example will demonstrate how to add custom editors in iOS DataForm. First, create a sample class. Then, setup the source and register the editor types. After that, you have to inherit from the default DataFormRenderer and override some of its methods.